When you start consuming more foods that are rich in fiber such as vegetables, fruits, and whole grains, your bowel movement will increase. It is because fiber helps to flush out waste from your body by softening them, thus facilitating the digestion process and prevent constipation effectively. This is helpful to improve your colon health. Drinking coffee can cause you to poop often, especially if you regularly drink a cup of coffee every morning. Caffeine acts as a stimulant which can trigger bile production in the body, thus it helps the stools to move through the colon. However, too much coffee intake may cause diarrhea. The increase of your bowel movement may be a result of your regular exercise or any physical activities that you recently started. Exercise contributes to your digestion process by increasing muscle contractions in your colon, thus your body has a more regular and faster bowel movement than before. Studies show that too much stress is bad to one's health, and it can affect your digestive system as well. Stress makes your body function become unbalanced thus affecting your bowel movement. If you notice that you have been getting excessively stressed lately, it could be the reason why you are pooping so much. Other times, stress can be the reason for constipation too. If you are a female and get your period, you mostly know that whenever you're on your period, you regularly use the bathroom because of increased pooping. It is normal for women because hormones, especially progesterone will shift during the period, which triggers your uterus to cramp and thus increases the bowel movements. Some antibiotics or medications that you are taking may change your digestion frequency and speed. Medicine like antibiotics typically has an effect on the normal process of your digestive tract, which stimulates bowel movement thus you may experience excessive pooping. If you poop more often around the time you are taking some kind of medicine, that's likely why. IBS is a digestive disorder that affects the large intestine. It usually affects your stool and increases your bowel movement. You may experience such symptoms like abdominal pain, cramping, bloating, excess gas, diarrhea and so on. This is a serious condition and going to the hospital is imperative. Though this may not happen to all, there are foods and drinks which may cause digestive problems and could lead you to poop more often, for example, alcohol, foods with high-sugar content and too much milk can upset your stomach and cause excessive pooping. If you're pooping a lot, try the following 6 proven home remedies to relieve yourself. Foods rich in fiber can cause you to poop more often, so make some adjustments in your diet by cutting down on these foods. If you're experiencing excessive pooping caused by the consumption of foods with high fiber content, eat fewer fruits, vegetables, and whole grains. Consuming too much-caffeinated products such as coffee, tea, and chocolate can stimulate the large intestine muscle, thus causing excessive pooping. Cutting down on your consumption of these products can help reduce the frequency of bowel movements. Try to replace them with water or juice. Drink plenty of water and keep yourself hydrated always, this will help relieve your discomfort caused by excessive pooping. When you are pooping so much, your body is also losing a lot of fluid. It's a good idea to refresh yourself quickly by drinking enough water. Keep in mind that your mental and physical health are working together for your overall health. Stress can affect your digestive system and thus cause frequent bowel movements, so it's important to manage your stress levels. Try to relieve your stress and anxiety by going for a walk, listening to music, reading books or spend time with your families and friends. Dairy products like milk and cheese contain lactose, when it passes into your intestine, may cause improper bowel movements. You may experience certain symptoms like bloating, excessive gas and diarrhea. So you need to pay more attention when consuming dairy products. After following those home remedies mentioned above, if your condition doesn't get eased or more severe symptoms occur, it is advisable to consult your healthcare provider for help immediately. The doctor will ask necessary questions about your bowel movements so be ready to provide information for a quick and accurate treatment. Excessive bowel movements have different causes and you need to know exactly why you're pooping a lot to identify the right remedy and treatment. Keeping a watch on its symptoms is a huge help to ensure that you are ready when a healthcare professional intervention is necessary. You can watch a YouTube video here for more information about your stool and your health. 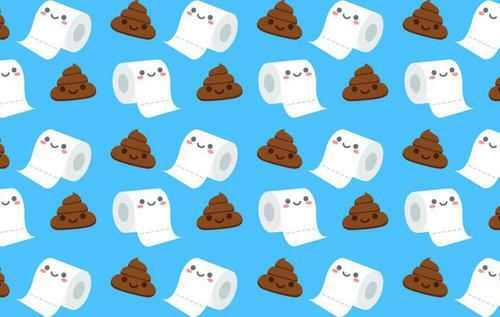 Why Can’t You Poop and How to Make Yourself Poop?